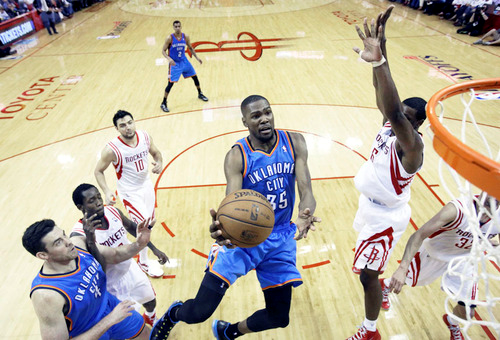 The Oklahoma City Thunder just experienced the NBA’s equivalent of an NFL bye week. They were off for 5 full days, last playing on Friday at home. Rest during an NBA season is always welcome. Probably more important, though, is the ability to hold full practices. 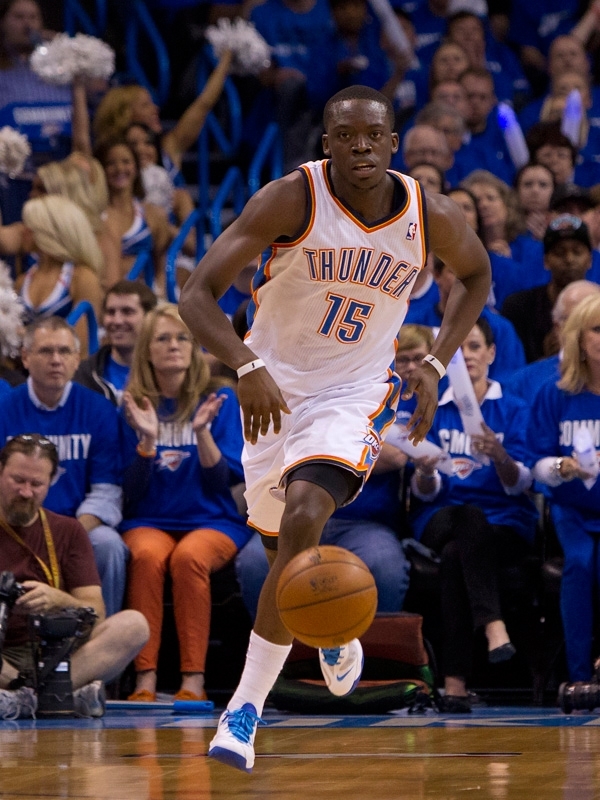 In the 5 day break, the Thunder likely held 2 or 3 full length practices to help incorporate newcomer Dion Waiters. Hell, even Mitch McGary, who has had an injury plagued rookie season, likely benefited from the increased practice time now that he is healthy. 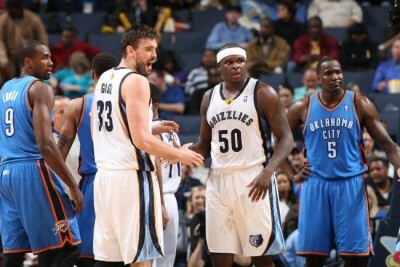 After being shaky the last 3 games, practice time is probably something the Thunder cherished during this “bye week”. This is the 2nd of 3 meetings between these two teams. 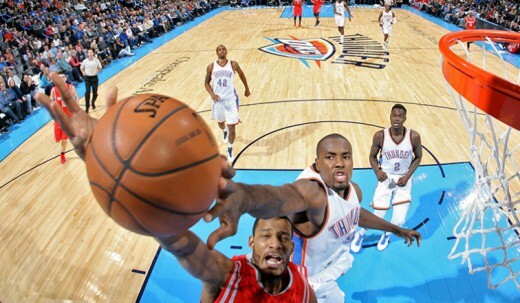 The Rockets beat the Thunder 69-65 on November 16th. Yeah, that was the score of an NBA game that ended after four quarters played. The defense in that game was stifling, as was the offense. 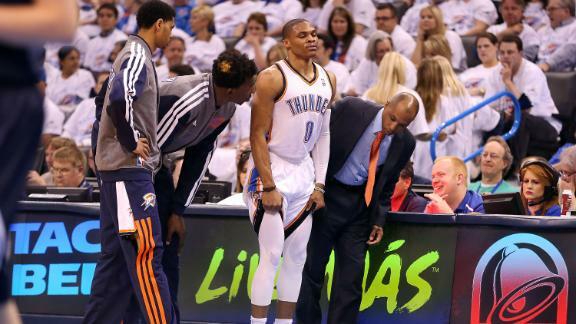 Of course, the Thunder were without Kevin Durant and Russell Westbrook during that stretch. . 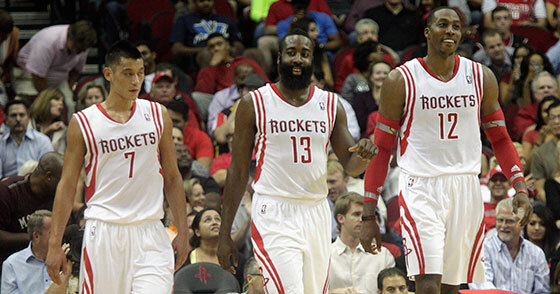 The Houston Rockets come into this game with a 27-12 record, good for 4th in the Western Conference. The Rockets have been one of the more consistent teams in the league, sporting a top 5 defense with a top 10-15 offense. The Rockets used to be a strictly offensive-minded team, but that began to change when the Rockets started putting the point guard responsibilities in the hands of Patrick Beverly. 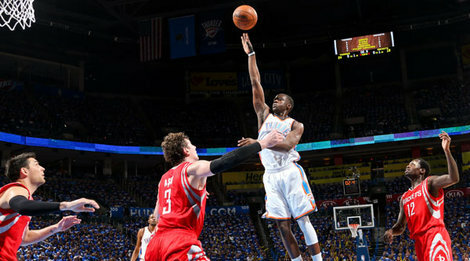 The bulldog defender changed the demeanor of the Rockets and wrestled the starting spot from Jeremy Lin last season. While not necessarily an offensive weapon, Beverly is the heart of the team. On the wing, James Harden continues his excellent play as a scorer (26.9 points per game) and has shown improvements as a defender after being much maligned last season. His improvements on the defensive end have bolstered Harden into the MVP conversation this season. On the other wing, Trevor Ariza gives the Rockets the big wing defender they’ve coveted for a while. The power forward position is currently a back and forth between Donatas Montiejunas and Josh Smith. Both offer the ability to be a stretch 4, but Montiejunas has been a little bit more consistent since Smith’s arrival to the team. 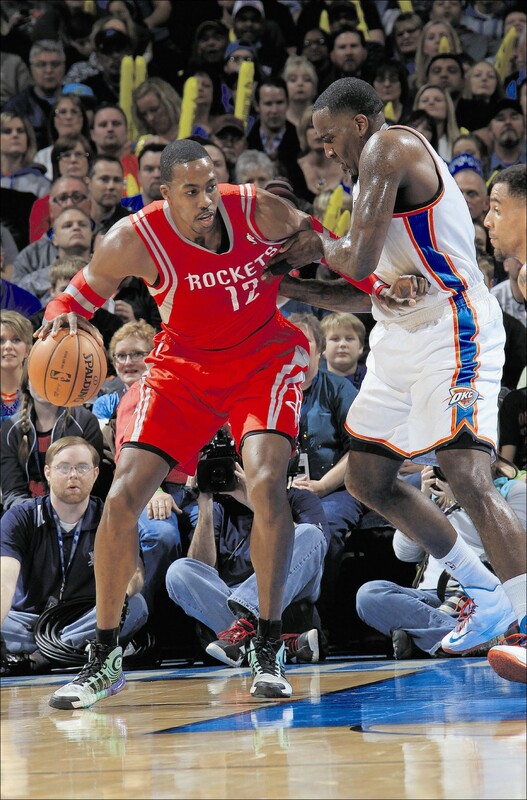 Up front, Dwight Howard continues to be one of the best defensive centers in the league (11.2 rebounds, 1.56 blocks), while also giving the Rockets 17 points per game. Outside of Smith, who can be inconsistent at times, and Corey Brewer, the bench is one of the weaker ones of the Western Conference elite. 1. 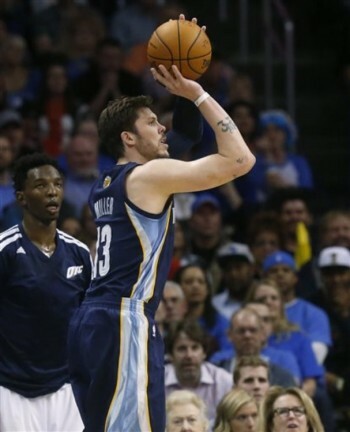 Perimeter Defense – The Thunder have been having issues lately with defensive minded teams that can consistently shoot 3’s. They struggled with the Warriors a couple games ago, generally struggle with the Trailblazers, and always have a difficult time with the Spurs. With the Rockets’ new found love for defense, they now fall into this category. Where this comes into play is when the Thunder struggle from the field (especially from 3) and can’t stop the other team from consistently making 3’s. The Rockets have 4 rotation players (Harden, Ariza, Beverly, and Brewer) that shoot at least 33% from 3-point territory, with Montiejunas clocking in at 28% from deep. 2. Bench play – Jason Terry and Terrance Jones will be out for tonight’s game, and Isaiah Canaan and Kostas Papanikolaou have fallen out of the rotation. 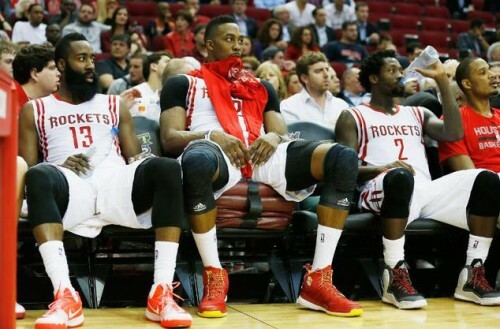 The Rockets’ bench is weaker now than it was at the beginning of the season. And the Rockets will be playing in the 2nd game of a back to back after having to travel back from the East Coast. 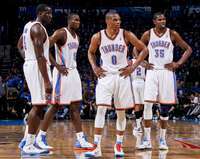 If the Thunder bench can win the battle of the reserves handily, the Thunder should be able to win this game going away. 3. 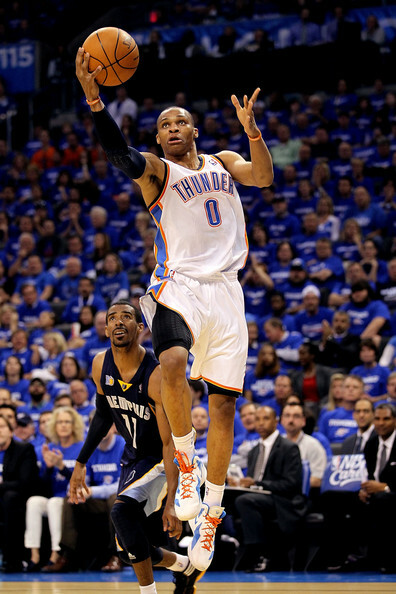 Beverly vs. Westbrook – This match-up always sparks fireworks. Should be fun. 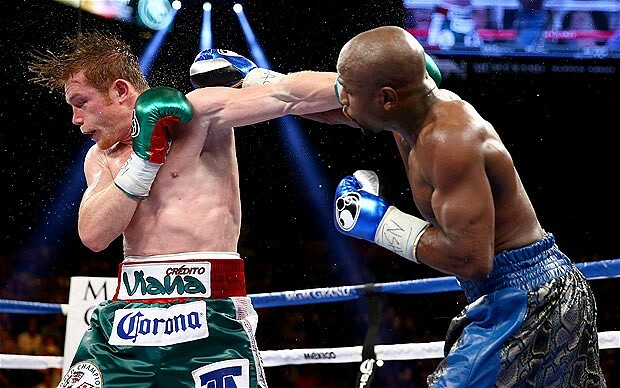 Exes; sometimes it ends badly and sometimes it ends on good terms. But most people like to keep tabs on their exes mainly for comparative purposes. 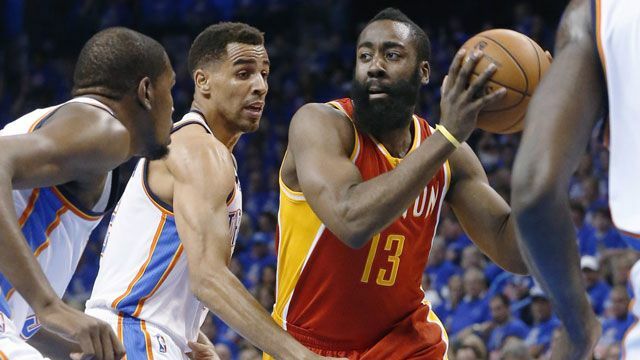 When the Oklahoma City Thunder traded James Harden to the Houston Rockets before the beginning of last season, he went from beloved Bearded One to an ex. It’s only natural for us to keep tabs on him. And honestly, for the most part, the split has worked out for both parties. Oklahoma City is still a contender and has more salary cap flexibility than before, and Houston is on the cusp of building a possible title contender also. This will be the second meeting of the year between these two teams. 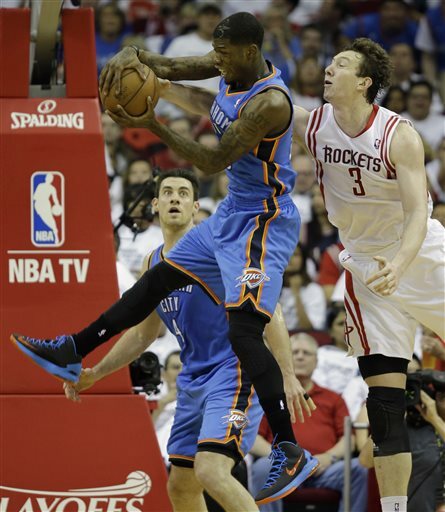 Oklahoma City won the first meeting in OKC, 117-86, blitzing the Rockets from the outset and never letting their foot off the pedal. 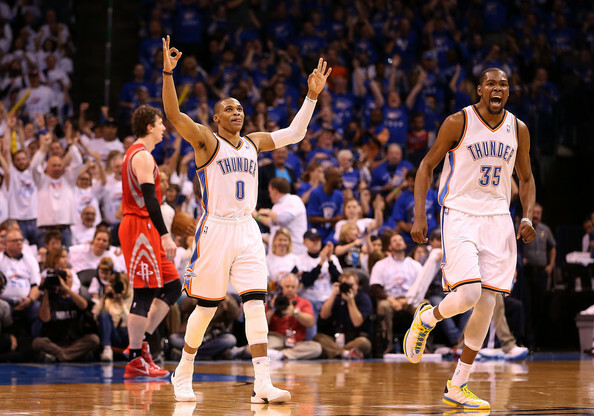 Since the Harden trade, OKC is 7-3 against the Rockets, to include the playoff series from last season. 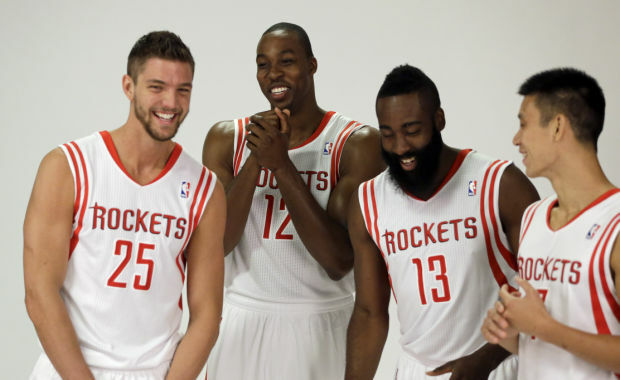 The Rockets currently sit at 26-14, good for 5th in the loaded Western Conference. 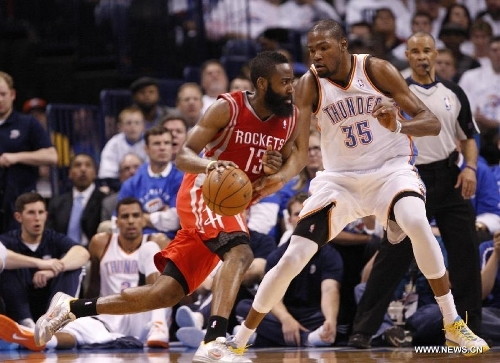 The Rockets balance a great scoring attack (105.2 ppg) with a middle of the road defense, allowing 101.7 ppg. 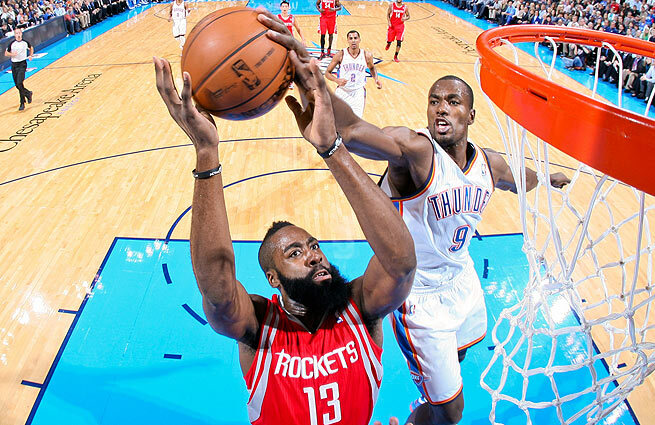 Their attack is spear-headed by former Thunder guard James Harden, whose attacking nature and ability to playmake lends itself beautifully to an offense with an athletic big (Dwight Howard) and a plethora of 3-point shooters. The Rockets’ bench has been plagued by injuries to Patrick Beverly and Omer Asik. 1. 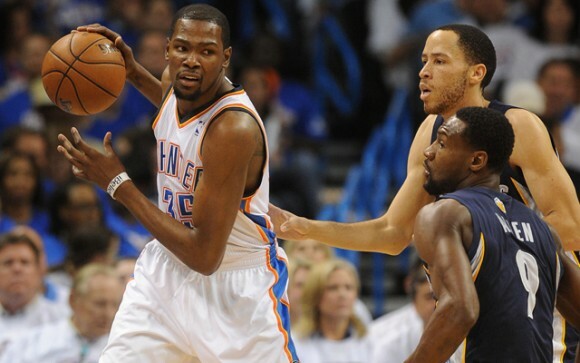 Defenders defending – In most games, Kendrick Perkins and Thabo Sefolosha are liabilities. 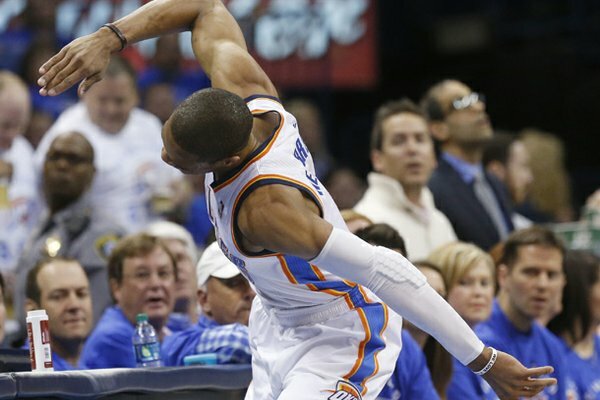 Their inabilities to give anything to the team on the offensive end of the floor becomes a hindrance. But in games where the opponent’s best players are the center and the SG, their strengths are maximized. Earn your money gentlemen. 2. 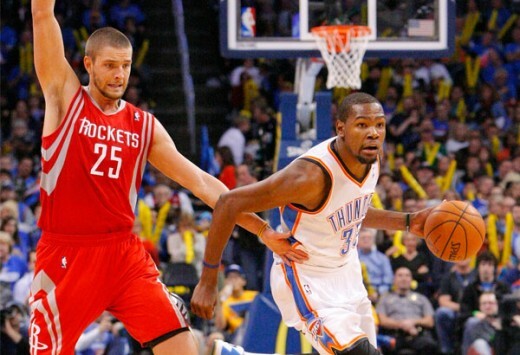 Attacking – The Rockets’ bench is thin due to injuries. 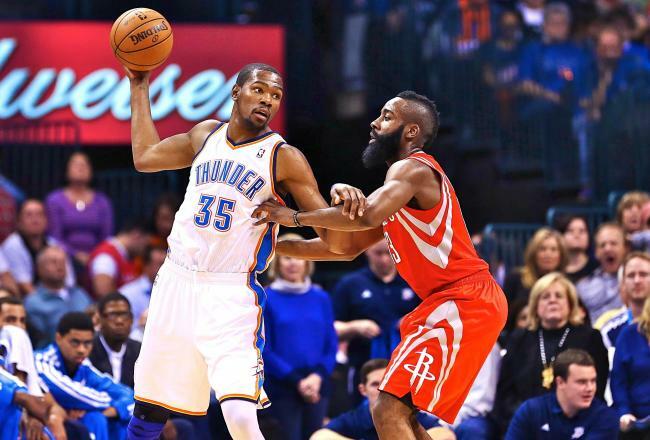 If the Thunder can attack the basket and draw some early fouls against the Rockets’ major players, that will help the Thunder’s attack. 3. 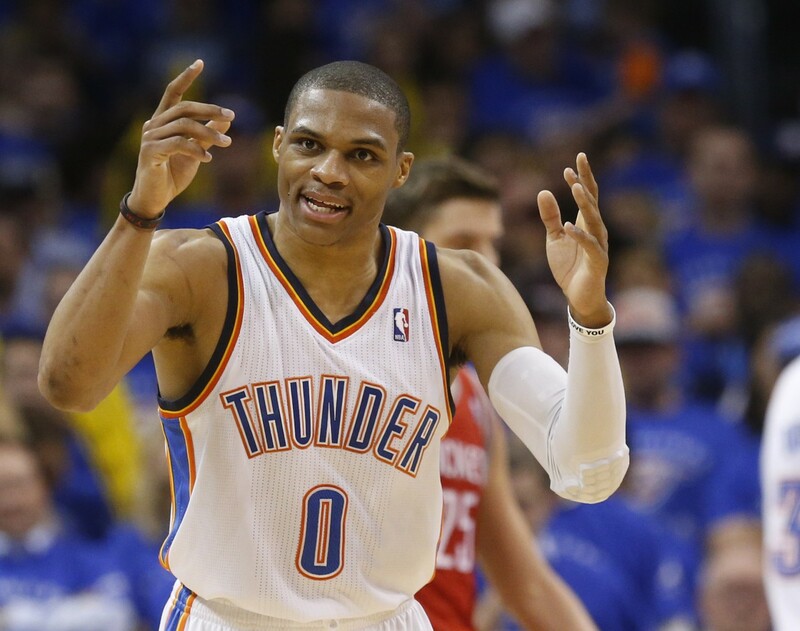 We’ve won before – Every game without Westbrook has been a struggle, except for the Houston game. We’ve beat this team before without Agent 0. I think, mentally, that takes a lot of pressure off the team.